implies a great deal about them cuz most are even worse beyond imagination. Their lifestyle is one that is taking then to Hell. Sad! A woman, identified simply as Mrs. Mabel, has been arrested in Lagos after she tortured her 14-year old housemaid, locked her inside the toilet and went for church service at Baruwa Estate in Ipaja area of Lagos where they reside. It was gathered that the torture had been going on to the extent that their neighbours were aware of the inhuman treatment meted on the girl. However, on 4th November, 2018, the act was exposed by one of their neighbours who reported the dastardly act to the Ipaja Police Division; the police went there and rescued the victim. 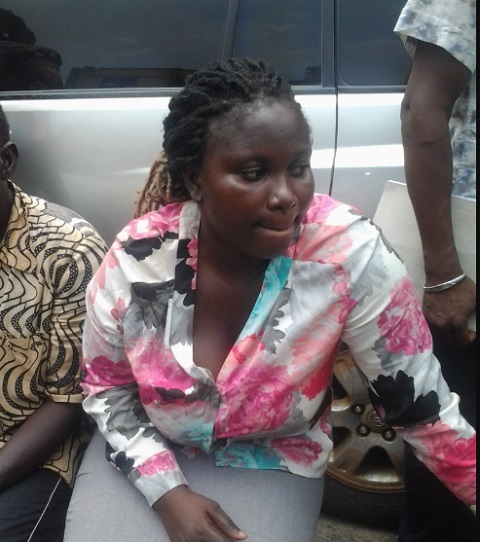 Her madam, Mrs. Mabel, was later arrested and detained at the police station for interrogation. During interrogation, the victim made some revelations which further exposed her madam. This was confirmed by the Lagos State Commissioner of Police, Mr. Imohimi Edgal, who paraded Mabel with other criminal suspects at the Police Command. The police boss said that the act was exposed on Sunday when Mabel as usual locked the victim inside the toilet and went for church service and one of their neighbours informed the DPO who moved in and rescued the housemaid. The matter was transferred to the Gender Section of the Command for further investigation. Edgal said that the victim narrated her ordeal since she started living with the madam and on close examination by the police, it was discovered that the victim had wounds all over her body due to the torture. He said that the suspect, Mabel, will be charged to court while the victim was taken to the rehabilitation centre where she was receiving treatment.